These reviews actually cover many Madison County cities and towns like; Madison, Owens Crossroads, Harvest, Hampton Cove, Meridianville, Hazelgreen and more. For over 25 years My crew and I have been Rock’in The House with top quality workmanship at a fair price for all of Madison County Alabama. Because of my own marketing and use of seo (search engine optimization) My sites are finding people who were not happy with their last carpet cleaners. We hear things like this all the time. Customer says,”You guys got that stain out? Wow! The last ones left it behind” We hear that one all the time. Finding our Google Places Reviews are easy. 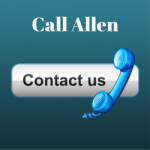 Simply open Google maps from any browser and type Allen’s Carpet Cleaning or Allen’s Carpet And Upholstery Cleaning in the search box. Then on our profile click on review link next to our stars. If you would like to rate us or leave a review yourself you can do that here too. That would be awesome! Thank you! Allen was very professional and courteous. The carpets look excellent and he was able to get all of the tough stains out. We will def be using again and we will recommend to our friends. We Hope Our Carpet And Upholstery Cleaning Reviews in Huntsville Al will put you at ease choosing us for all your future cleaning and repair needs. We are the carpet, rug and upholstery cleaning experts. Please read our customer testimonials on the various social platforms above and know you will be in good hands. 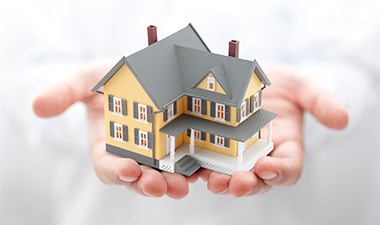 Learn more ways to find the best carpet cleaners here! If you cannot schedule a professional cleaning service soon after accidental spill.. watch the video below for a cool spot cleaning tip! Hope you are enjoying your day. I love the detailed information on your site regarding spills and the process to take them out. 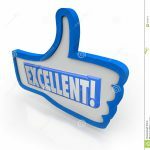 You have some really good reviews listed here and that is important for any kind of business. These reviews are something that I look at when hiring any company for any kind of work. I am actually looking for a hardwood refinisher to do some much-needed work on my floors. I never thought about upholstery cleaning. Thanks for such great information. Hello TJ. Thanks for stopping by and chatting. You know things have gotten so busy even into the fall season that I run out of daylight trying to do all I want to do with my business. I have a lot of carpet and upholstery cleaning topics still in draft mode till I get freed from being part of the crew, managing, booking and running Facebook ads some days. Hey thanks for you cleaning tip video, this will resolve the problem to remove a few stains we have on chairs and the sofa. We always struggle trying to find what the correct solution and method is to remove stains without making it worse by rubbing the stain further in. I will attempt this procedure this weekend, thanks! Can I ask whether you use a dry or wet carpet cleaning method? The last time we had our carpets cleaned they took a week to dry out yet seemed to make no difference to their appearance once they had dried, we received quite an inexperienced job to be honest. If you use a wet cleaning method – how long will the carpets take to dry? Some of our friends have excellent carpet cleaners in their areas and haven’t had any of the issues we have gone through. Hey hey Simon. I hear something each and every week here in my city that leaves a negative tone in our carpet cleaning industry. I will agree that some of the carpet and upholstery cleaning professionals need a re-training by the owners of the company. It is one thing to know the steps involved with the task but another not to know your equipment as good a the cleaning steps. It takes experience, professional strength cleaning solutions and a well maintained machine to achieve the results that a real pro can. When an inexperience cleaning tech fails to realize his water pump has lost valuable spraying power or the system’s vacuum motors are worn and weak he will not achieve those professional results. Cleaning machines in need of repair can cause soil left behind to attract dirt faster or too much water left behind resulting in long dry times. We use the Hot Water Extraction cleaning method Simon. It uses a small amount of water through special tee jets, under hot water pressure. There is a vacuum slot immediately behind that action extracting soil, water and past residue build up into a separate waste tank in the cleaning machine. Whether we clean carpet or upholstery the fabric is left only damp and will dry within a day according to thickness, humidity inside the home and air flow. Scott and Robert were EXCELLENT!! With myself a hairstylist/makeup lover, 3 kids, and a construction business owning husband my light beige carpets were a dirty mess, it was embarrassing having company over with muddy little and big footprints being the first thing you saw when walking into my house, the drink stain in my sons room, and the lipstick stain in the hallway my kids made while “trying to give each other a make-over” One of my husbands employees recommended and called Allen’s carpet and upholstery cleaning, they were quick to come out, they listened to my problem areas and delivered! They were quick, friendly, professional, and the results were phenomenal!! If you want quality service, and great prices this is the place to go!! I highly recommend and will tell everyone who will listen! Thanks Scott and Robert for making my house/carpet look and smell wonderful again!! It has been said “The only way to do great work is to love what you do.” Scott absolutely loves his work and the evidence shows in the fabulous job he did cleaning my sofa and loveseat. I did not think it could be restored but he proved me wrong. He also went the extra mile, came back the next day and padded the sofa and loveseat. Quality work with great prices and professionalism is hard to find these days. 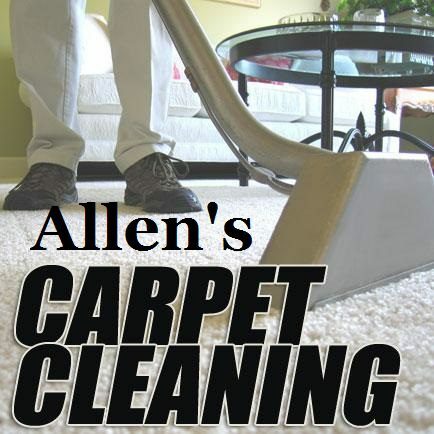 I highly recommend Allen’s Carpet & Upholstery Cleaning and I appreciate a job well done. Hi Betty, I will surely relay this message to Scott. He has always been there for our customers with honesty and integrity and unlike most service vendors these days Will go that extra mile to help when needed.